Being guided through the cherry collection at Brogdale last week felt like being transported into an Eden of colours, shapes and tastes. 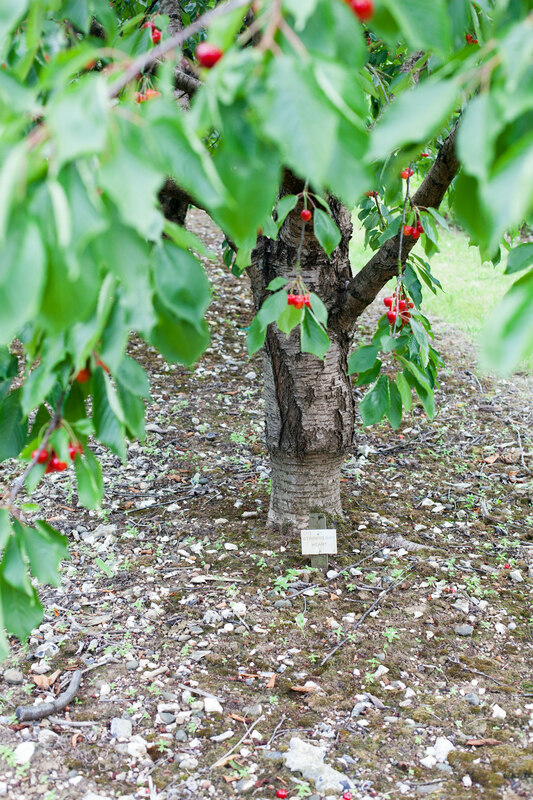 I was lucky to visit the British National Fruit Collection during the cherry season last week and privileged, as a trustee of ‘Les Croqueurs de Pommes’, to be guided through the cherry collection by its horticultural curator. 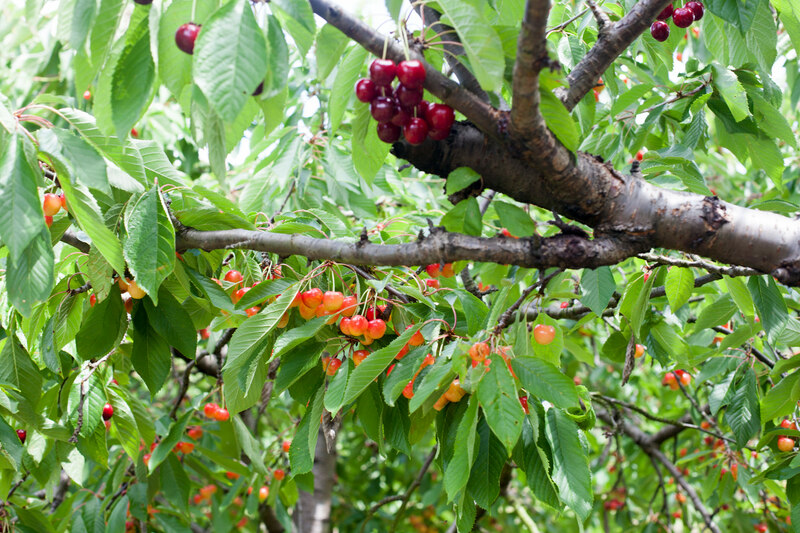 Cherries were early this year, and many of the 300 varieties available had already ripened. Here is a sample of what I saw and tasted. 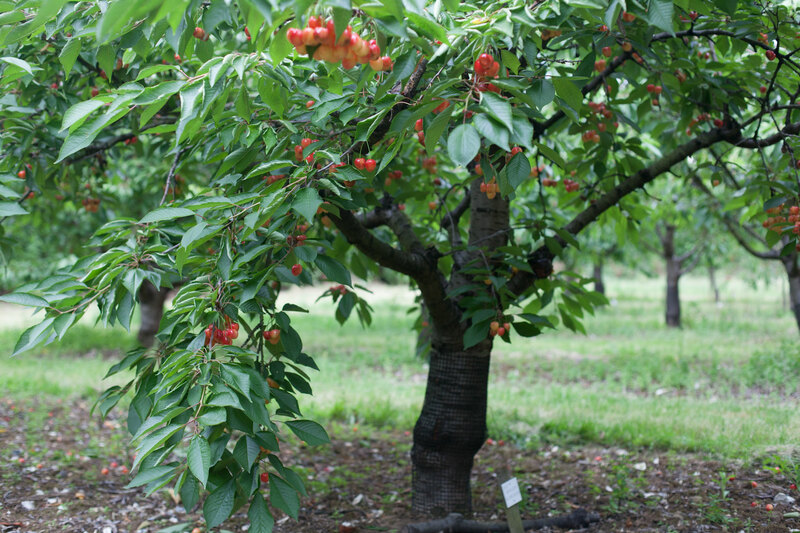 The cherry collection at Brogdale on a warm and sunny day: 2 trees x 300 varieties make a 600-tree strong orchard. Photo 4 July, Kent, UK. Walking through the aisles in the shade of trees loaded with fruit was heaven-like. Here is one of the most popular varieties once commercially grown in Kent, known as “naps” (Napoleon). 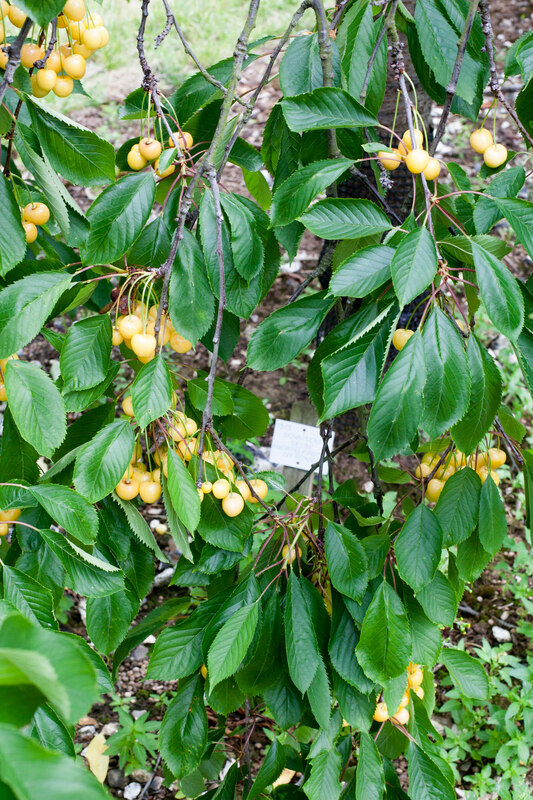 There are 20 different Napoleon cherries in the collection. This sweet and juicy fleshy fruit ripened on the tree can be purchased from the Brogdale Collections shop. 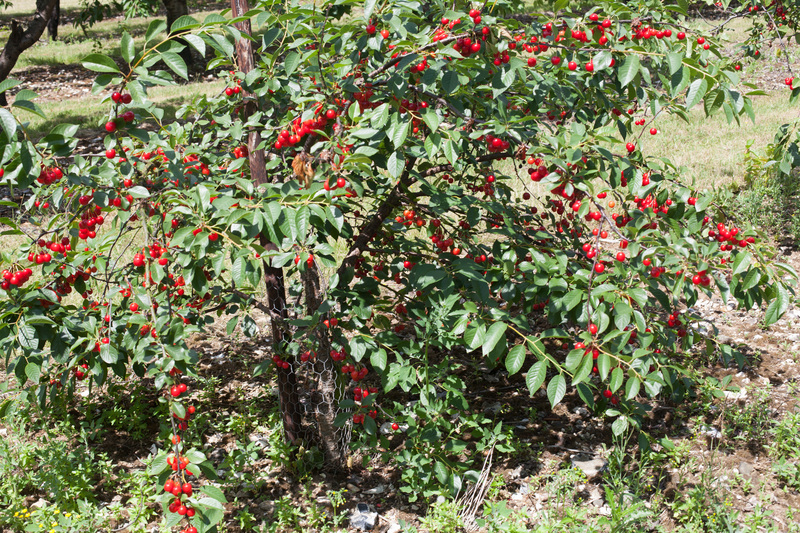 Some of the sour cherries are hardly edible raw but delicious cooked. I used this one, Meteor, to make a jam test. 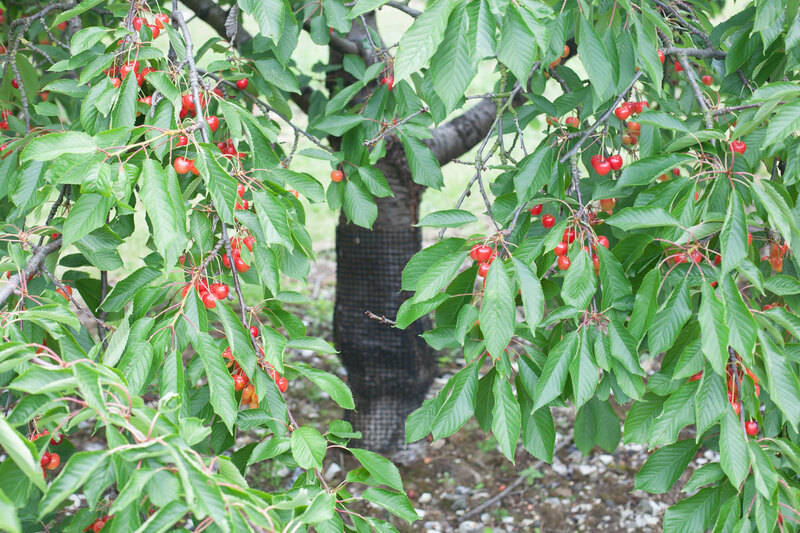 There was such an abundance of fruit (click on the picture to zoom in), that I forgot to take pictures of black cherries on the trees. As a result, those are the only dark cherries you will see in this post. Here is a representative sample of colors, sizes and shapes I saw during my visit. 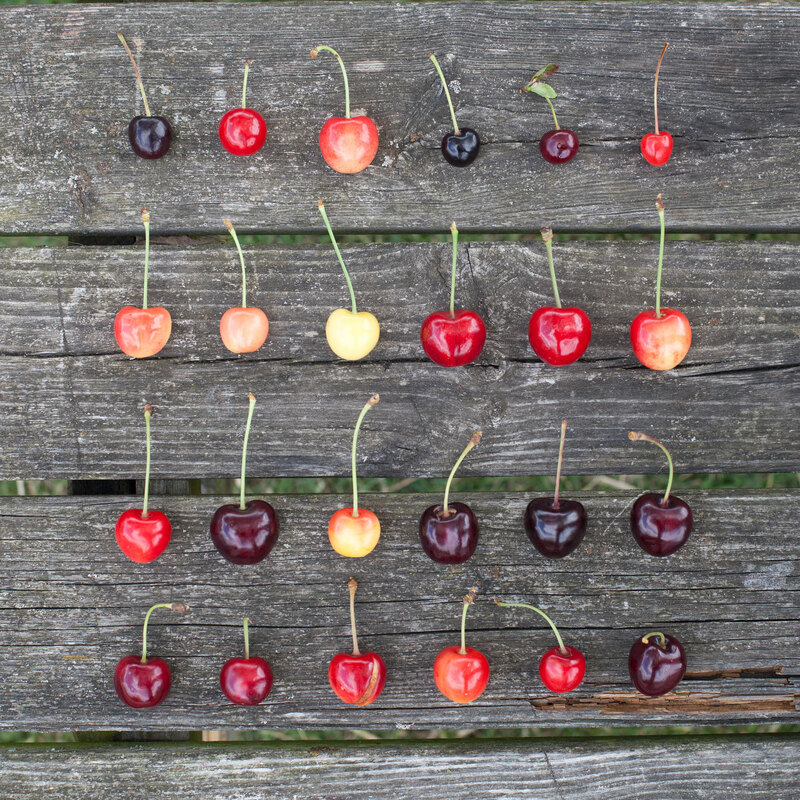 Small doesn’t mean sour, as for instance the small black cherry on the top is very sweet. 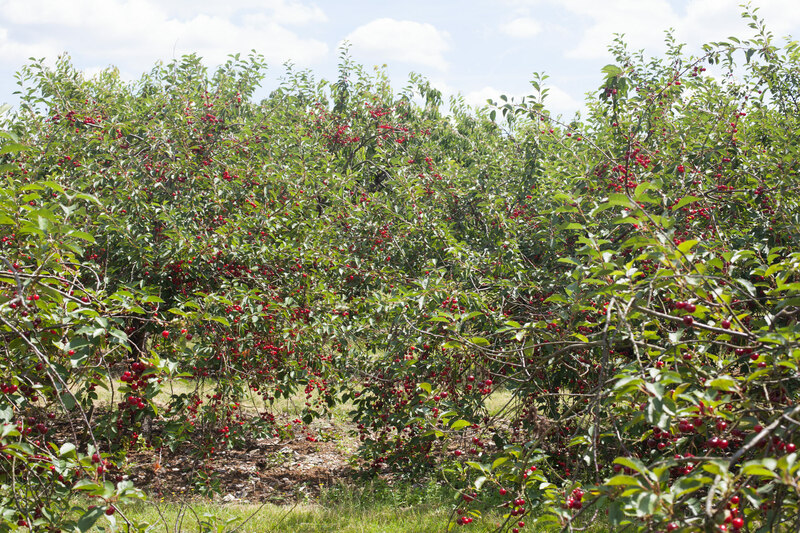 Another particularity of the Brogdale orchard, as it is a collection rather than a production orchard, is that diverse varieties sit next to each other. So subtle colours and transparencies sometimes. I don’t know where to stop displaying what I have seen really. Maybe here with this unusual colour? Those are ‘Dönnisens Gelbe Knorpelkirsche’, a popular cherry in Germany. How did I find the name of the above yellow cultivar? It is written on a label below the tree. Here is the ‘Strawberry Heart’, aptly named. You can see the fruit in the square picture above, third row – first left. Heart-shaped with a combination of colour and slight opacity, it indeed reminds of a strawberry. This entry was posted in Stories and tagged Brogdale, Cherries, CroqueursDePommes, Kent, UK by Les Jardins d'ici. Bookmark the permalink. Wow, what a heavenly experience! And in the pics I love seeing both the fruits and the graft unions. Heavenly indeed! I intend to come back to Brogdale and take pics of the interstock bridge grafts in their apple collection.